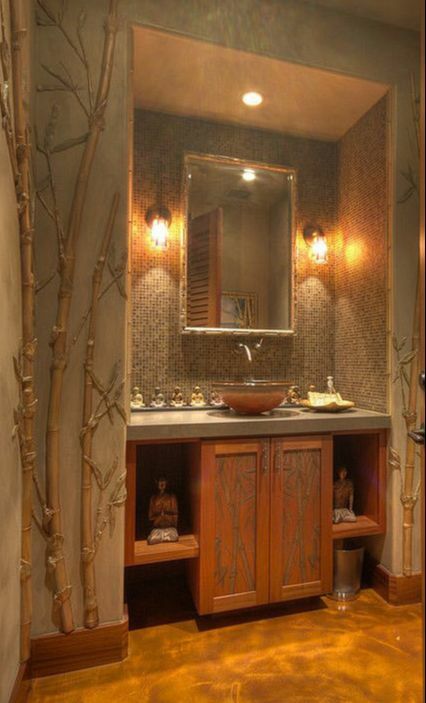 Deborah Thompson and Thompson Art Studios created this faux bamboo 3D mural with masterful sculptural and painting techniques. 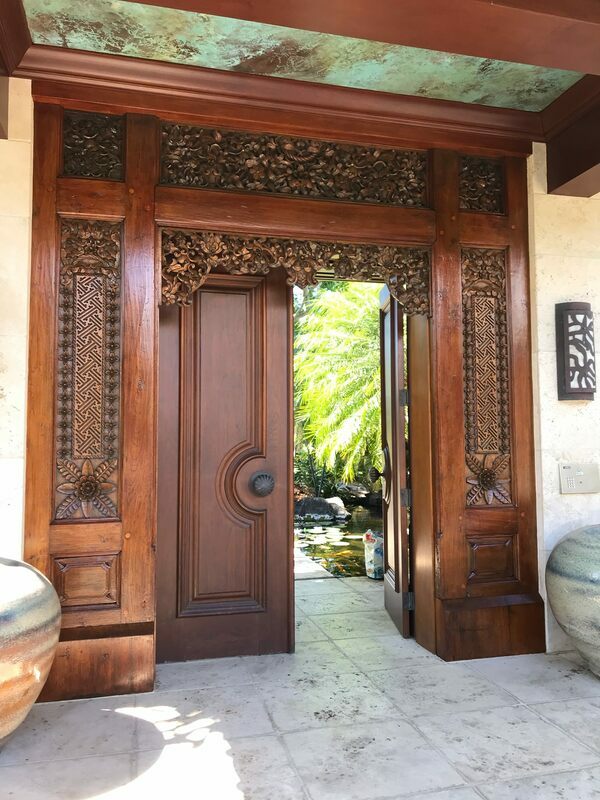 Deborah Thompson and Thompson Art Studios refinished these exquisite Indonesian doors. Thompson Art Studios, Inc. has been transforming homes and businesses for more than 30 years. Located and licensed on the Big Island of Hawaii, Thompson Art Studios' master artisans bring unique, and custom decorative paint finishes to Hawaii’s most prestigious homes. When you hire Deborah Thompson and her team you are receiving knowledge that’s been gained through years of experience using surface treatments in the distinct micro-climates and environments found on the Big Island. They have a carefully curated network of professionals ensuring you always receive the most skilled artisans on your project. Thompson Art Studios' artisans specialize in a variety of sophisticated and decorative surface treatments that include faux finishes, paint and plaster, furniture and cabinetry finishes, and custom mural design. Please visit the Services page for more details. Thompson Art Studios has the skilled staff to handle the smallest to grandest projects, from accents and touch-ups, to multi-thousand square foot spaces. Sign up to receive email updates featuring beautiful transformations by Thompson Art Studios.